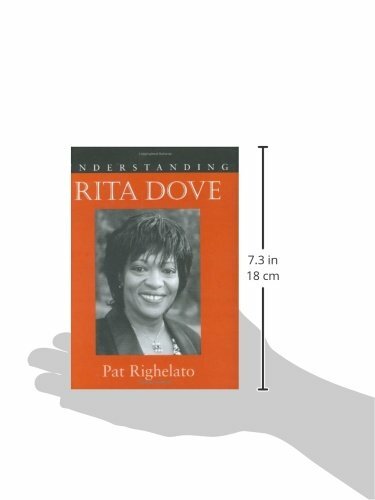 Rita Dove (b. 1952) was encouraged by her parents to read widely from a young age and she explored all that the local library in Akron, Ohio, had to offer. 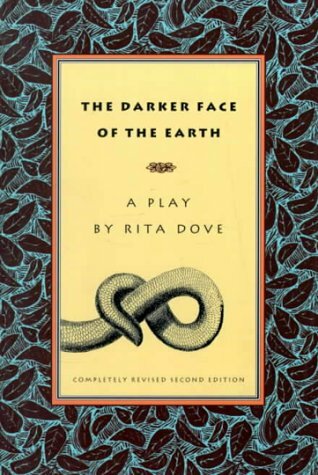 Dove went on to study English at Miami University, Ohio, was a Fulbright Scholar at Tübingen in Germany, before joining the renowned University of Iowa Writers' Workshop. 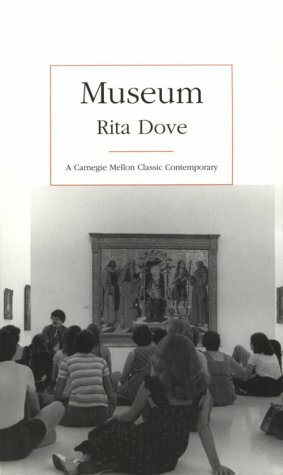 Her glittering academic career was soon matched by her growing reputation as a poet, her first collection, The Yellow House on the Corner, appearing in 1980. Seven years later her third book, Thomas and Beulah, based on her grandparents' lives, won the Pulitzer Prize. In 1993 Dove became the American Poet Laureate, making her both the youngest recipient of this honour and the first African American. Her many other awards include over twenty honorary doctorates, the National Humanities Medal from President Clinton and, in 2006, the Commonwealth Award of Distinguished Service. 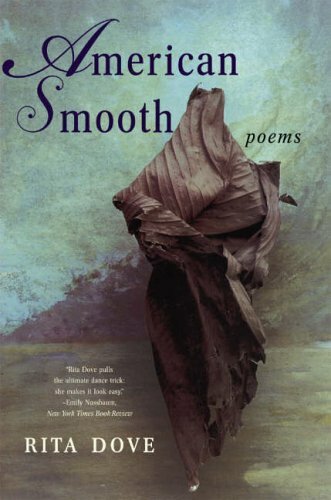 She currently holds the chair of Commonwealth Professor of English at the University of Virginia and was recently elected Chancellor of the Academy of American Poets. Dove is an inspirational figure for African-Americans and for women, and her own work reflects these two important facets of her life, featuring many iconic names including Billie Holiday, Rosa Parks and Hattie McDaniel. However, Dove is as much interested in what she has termed "the underside of history" exploring the quiet lives of those who, like Thomas and Beulah, are omitted from the official record. 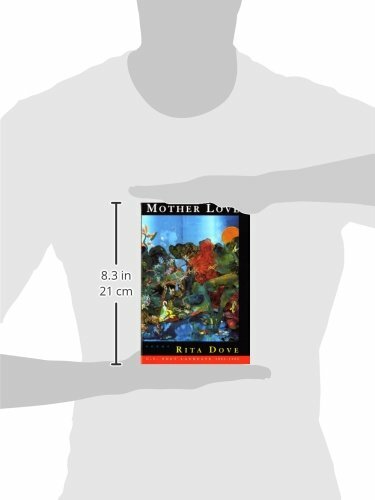 Be they famous or humble, Dove's sensual technique collapses the barriers of history to bring the reader into intimate contact with her subjects. Celebration becomes the best form of protest, whether it's the soldiers returning from the Western Front who play their music "right up white-faced 5th Avenue" ('The Return of Lieutenant James Reese Europe') or Dove herself dancing so ecstatically in 'American Smooth' she and her partner take off for a moment from the earth. 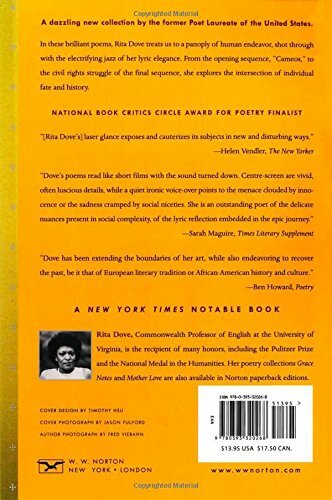 Ultimately though, like her dancing body, Dove's poetry isn't restricted by notions of race or gender. 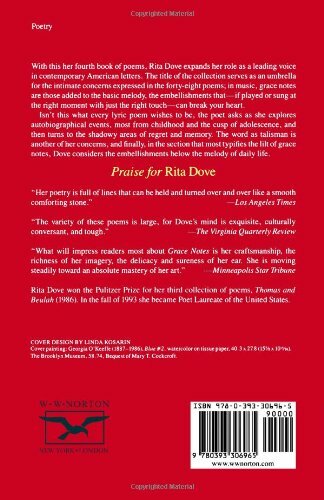 The critic Helen Vendler has said of Dove's poems that they "fall on the ears with solace". This is partly due to Dove's musical instinct (she played the cello from a young age) which underpins her immaculate sense of phrasing. Whatever form she is working in, her poetry lives up to her own high ideals: "I believe that language sings." 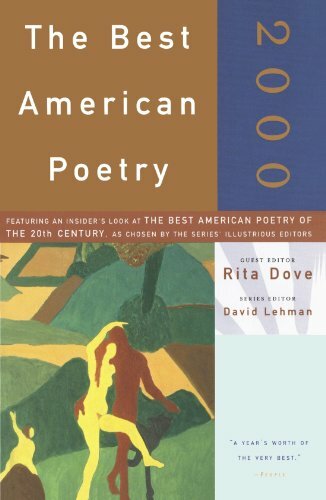 Her recording was made for The Poetry Archive on 11 January 2005 at WTJU-FM, Charlottesville, Virginia, USA and was produced by Chuck Taylor. 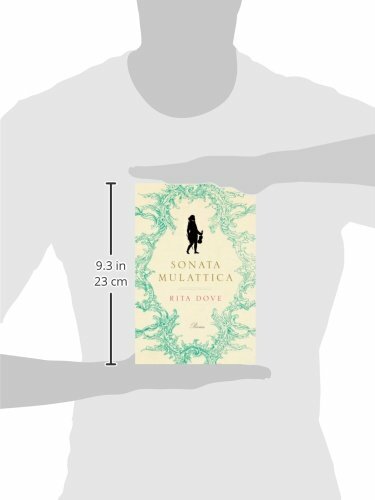 Sonata Mulattica, W W Norton & Co 2009.